For the book nerd in me, those “voices” in my head are usually audio books – and a lot of them! And as a traveled across the world via planes, trains and automobiles in 2017, I had plenty of time to consume those crucial books that have shaped the knowledge and strategy around my businesses. So – here they are. The very best business books I read in 2017 and how each one did a little something different for me. The books I wish I had read from the very beginning. The book is a total no-nonsense, slap-you-across-face kind of book to get you out of your own damn head about what life should look like or the path your parents have told you to take. If you’re worried about quitting your corporate job or ditching grad school because it seems “irresponsible,” read this book. It will whip you into shape and have you questioning everything you’ve ever thought you should do. Oh, and you'll be a lot richer doing it. If you’ve ever thought you couldn’t build a business because you aren’t smart enough or didn’t rock your scores on the SAT, read this book. It will make you realize that thinking like an entrepreneur is often perfect for those of us that are different. And different is good. Really good. Luckily, I DID read this one in the beginning. If you're thinking about starting a business from nothing, this book is perfect for that much-needed foundation. Tim breaks it down in simple concepts and by the end of this book you'll feel like you should have been doing this years ago. It has been the foundation for so many entrepreneurs. The books that changed my way of thinking. Most of what is holding you back from success is your own fear. And even if you don’t realize it, you’re probably sabotaging yourself and your successes because you’re too damn scared to get out of your own way. If you’re wanting to make a change but things just keep seeming to get in your way (to no fault of your own, so you think) – this book will make those hurdles magically fall away. The guy who wrote this book traveled to every country in the world, so if you aren’t inspired by his story you may not have a pulse. He talks about the trials and tribulations even some of the most successful people in the world have faced and overcome. He’ll teach you to never give up on your dreams and to figure out what will make you feel alive and to pursue it against all odds. It was shortly after reading this book that I quit my job and headed off on my round-the-world trip. The books that pumped me up. If you think that you aren’t in control of your own life, you’re wrong. Everything you’ve ever wanted is just out of your grasp, but you’re the one that is keeping it there. Change the way you look at everything in your life, put in the work, and you can have things you’ve only dreamed of. 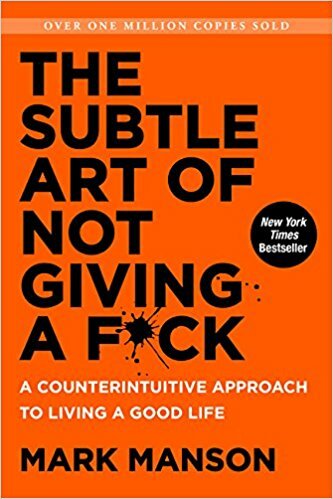 For anyone that doesn’t believe in the “woo woo” mindset work, read this book. Jen Sincero gives it to you straight and will turn you into a believer. 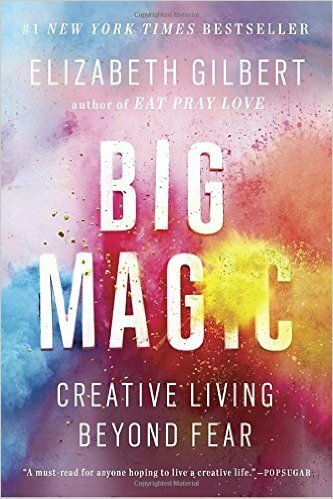 If you’ve ever dreamed of living a creative life or have felt that you aren’t quite following your calling, this is the book for you. Not only will Liz teach you how to embrace creative projects and passions that find YOU, she’ll show you how you aren’t living up to your fullest potential for happiness and fulfillment if you aren’t accepting these gifts and signs in your life. This book will expand your mind and heart to let in the things you’ve always wanted for yourself. It’s truly an inspiration and dare I say - life changing.